When your overall cargo volume does not meet our full container requirements you may use our consolidated container service. We can still offer you a cost saving by consolidating your cargo into our regular consolidated service. This means your cargo is combined with other shipping consignments headed for the same destination. Why should I use consolidated shipping? Many shippers believe this is the most important benefit of consolidation. If you only use half or two-thirds of a container, you will typically still have to pay for the entire space. Consolidation allows you to combine multiple consignments that are traveling to the same discharge port into one consolidated shipment, while you are only paying for the space that you use. Even with all the advancements in shipping, damaged is still a potential issue. consolidated shipping uses a method that not only is more cost efficient, but also considerably reduces the on-again, off-again handling of the cargo, as freight only has to travel between the shipper, consolidation center, and receiver/consignee with less handling, the risk of damaged goods is significantly lowered. Consolidation is a cost-effective solution for any smaller shipments as you only pay only for the container space used. 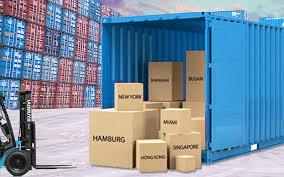 One major disadvantage when using a consolidation service is your sea or air freight may need to wait until sufficient cargo volumes are received to fill the consolidated containers before the shipment is expedited. However when using the WORLDWIDE consolidation services we are able to guarantee more frequent air or sea sailings on all major routes. On time every time-We don't make excuses-We deliver.